The National Olympic Committee of Kazakhstan summed up the results of the sports year. Titled athletes, young champions, honored veterans and the first sports leadership today gathered together at the solemn ceremony of the National Sports Award-2018. 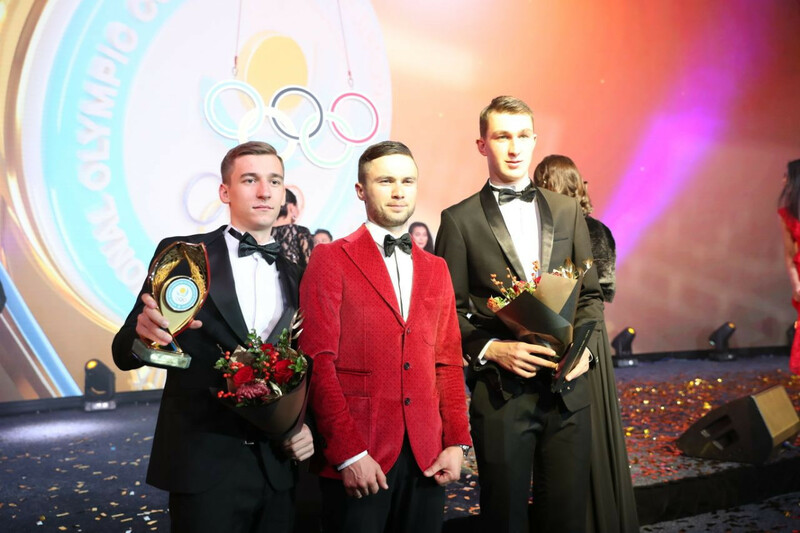 The bright event was conducted at the Hilton Astana Hotel, reports olympic.kz. The winners were revealed at the night before. For two weeks people voted on the Olympic.kz website to the nominees of the Award in nine nominations. It should be noted that within the two weeks Kazakhstan NOC received about 500,000 votes. This year applications for Award were received from National federations after that Sports Directorate compiled a short-list of 2018 Award nominees. All nominees personally received their cherished Awards, only PyeongChang 2018 bronze medalist Yulia Galysheva, and head coach of the freestyle mogul team Elena Kruglykhina could not attend the solemn Award ceremony. With the beginning of the winter season, they are in Rukatunturi (Finland) at the moment. 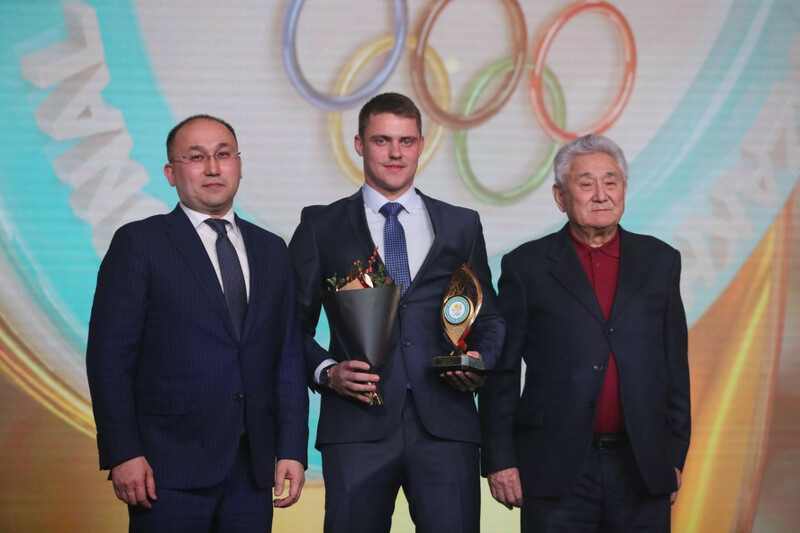 Titled athletes such as Serik Konakbayev, Ivan Garanin, Amin Tuyakov, Olga Shishigina, Alexander Vinokurov, and Serik Sapiyev were invited on the stage to present Award. “Let me express my gratitude for this trust and opportunity to congratulate the winner in the nomination “Breakthrough of the Year”. This is a special nomination, it means this year all the nominees showed not only good results, but surpassed themselves. And I want to congratulate everyone from the bottom of my heart. The best athletes are defined on the sports arena, but fans appreciation means a lot to us. I wish you all a good evening, and more victories for our athletes!” said Champion of Rio 2016 Dmitriy Balandin. Also, among those who presented awards to the winners were also “modern heroes”, such as the teacher of the Year-2018 in the system of preschool and secondary education Terlikbay Kushai, Kazakhstani wunderkind Aknazar Kazhymurat and young talent, virtuoso, the youngest member of the international academies of composers and performers of modern music Rakhat-Bi Abdysagin, who at the age of 13 became a student, at the age of 17 – postgraduate student, and at the age of 18 - defended his master's thesis. In addition, the Minister of Culture and Sports of the Republic of Kazakhstan Arystanbek Mukhamediuly, the Minister of Information and Communications Dauren Abayev, the Kazakhstan NOC Chairman of the Commission on Women in Sports Umut Shayakhmetova, South Korean Ambassador to Kazakhstan Kim Desik. The TV version of the National Sports Award Ceremony will take place on December 9 and 31 on Qazaqstan and Qazsport TV channels, respectively. The general sponsor of the National Sports Award-2018 is the Petroleum group of companies. The official sponsor of the Award is Premium Oil Trans.